The Metal Gear Series sneaks its way to mobile! Solid Snake mustinfiltrate the enemy to foil a terrorist hijacking. Get ready toexperience deep tactical espionage as you plan your strategy to defeatthe enemy and accomplish missions in this new Metal Gear game. 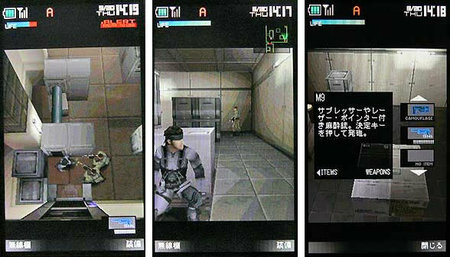 An exclusive chapter in the Metal Gear franchise for cellphone owners.In the game, players will face the same extreme tension of solitaryinfiltration that fans of the classic tactical espionage action gamehave come to expect from the Metal Gear Solid series, previouslyreleased to the PlayStation and PlayStation 2. 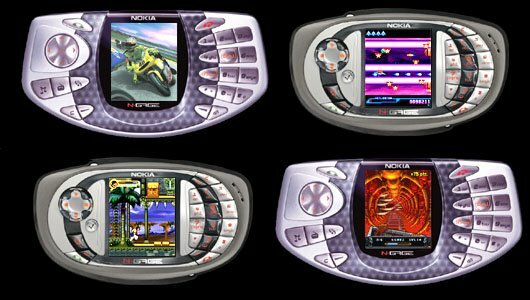 Metal Gear Solid Mobilefeatures never-before-seen dramatic 3D art displays and camera workthat greatly surpass the current standard of mobile games. The gamealso takes advantage of the phone’s camera functionality, for exampleusing the camera to sample colors from the real world for an in-gamecamouflage system. It is also possible to shift the viewpoint fromfirst to third person in the game to control a variety of weapons.